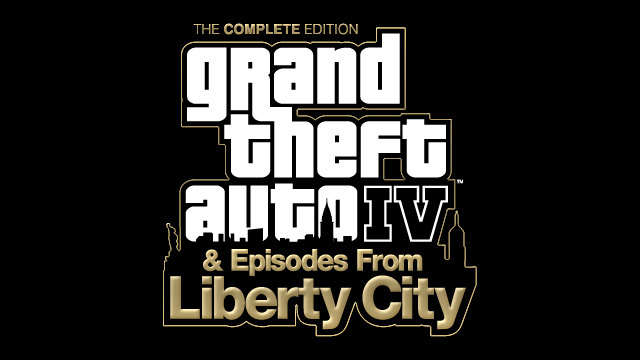 The intersecting sagas of Niko Bellic, Johnny Klebitz and Luis Lopez in Grand Theft Auto IV and Grand Theft Auto: Episodes from Liberty City are now all playable on Xbox One via Backward Compatibility! All versions of the game, including Grand Theft Auto IV: The Complete Edition, are compatible on Xbox One. Digital game owners have instant access on Xbox One, so they can download Grand Theft Auto IV directly from the "Ready to Install" section of their Xbox One and play at will. Physical game owners can just insert the Xbox 360 game disc into their Xbox One and download the game. Your original game saves will also transfer if you have saved your game to the Cloud Saved Games feature on Xbox 360. Anyone who doesn't already have Grand Theft Auto IV can get it from the Xbox Store on Xbox One, along with The Lost and Damned and The Ballad of Gay Tony. To celebrate, Rockstar is hosting a special giveaway of rare original GTAIV collectibles and gear. 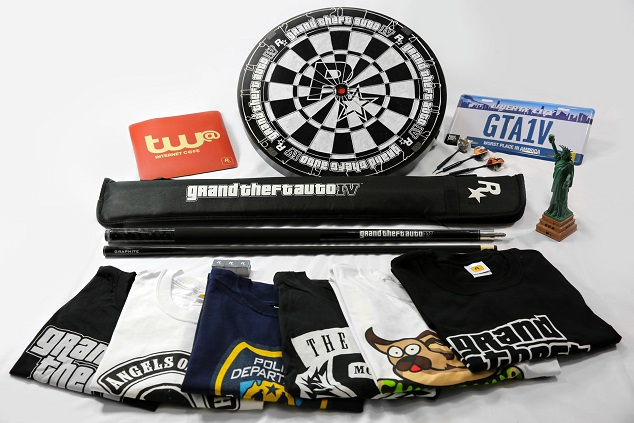 One lucky Social Club member will win a GTAIV commemorative prize pack pictured below, including the GTAIV Dartboard, Pool Cue, Statue of Happiness, License Plate, TW@ Mousepad, and a collection of GTAIV Tees. 10 Runners-Up will receive a GTAIV License Plate and TW@ Mousepad. Enter now at Social Club! Enjoy and hit up the GTA 5 forums!